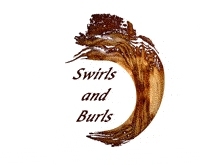 swirls and burls - I hope you enjoyed your visit! Nice work those pens are amazing! Awesome! my talented brother. God Bless! John, you work has always been beautiful, now you have a great website to match! Hey brother-just passing your website around the office so I thought I would give a hollar! One girl wanted to know if you do pool sticks! You are very talented and blessed that you can follow that talent to create these beautiful works of art. Anyway, I love the new work-stay safe bro! love ya sis! John, What magnificent art this wood beocmes in your hands. I'm inspired by your work, and always have been. John, What breath-taking beauty. You are an artist indeed. I love your work. I was so impressed with your work I had to order something for my newly painted mantel. The web sight also looks very professional . My only suggestions - give a price range for items not immediately for sale in case someone wants to order something similar. John, Not surprizing at all, you have always done excellence! It is who you are. The craftsmanship and the site are quite inpressive. I am proud to know you! John, Great Shop!!! Great Work. After you build my pen can you come organize my garage?!!! Blessings brother!! !